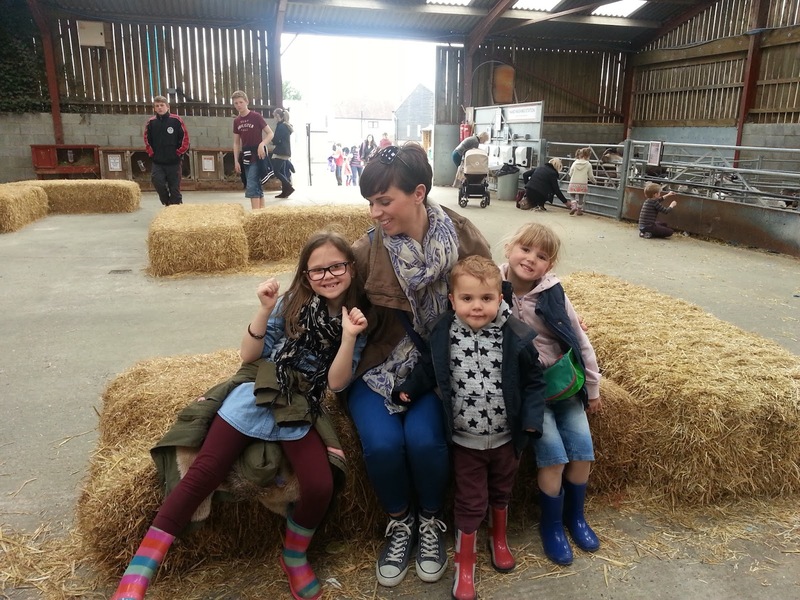 Mummy, Wife and Chaos: Topshop Camouflage T-shirt, 7/8 Skinny Jeans and the Farm! 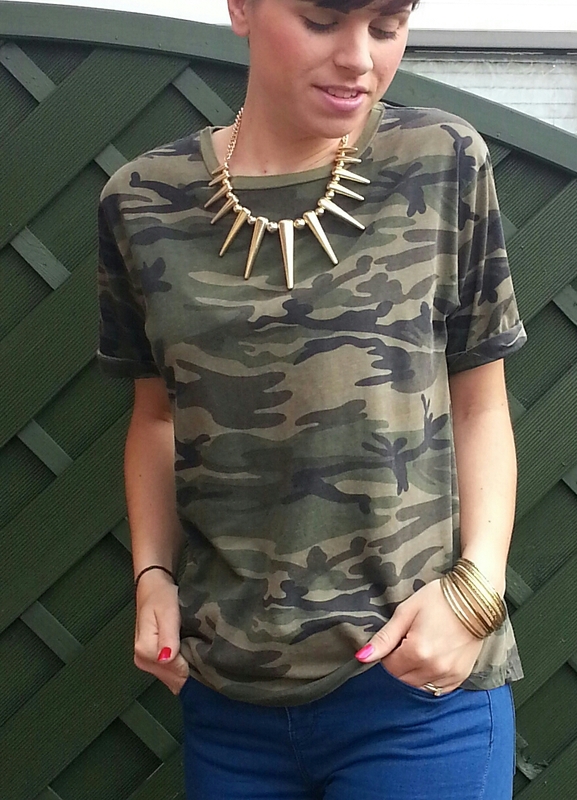 Topshop Camouflage T-shirt, 7/8 Skinny Jeans and the Farm! I did however have a good weekend of treats and this Spike Primark Necklace is just one of those. For just £4 its a perfect way to vamp up any t-shirt. More treats to follow! What I really want to share is these bargain jeans, bought for just £6.50 still with their original tags. I've said it before and I'll say it again, don't forget the charity shop! It's easier than you think to find a bargain that's wearable now. The 7/8ths style is perfect for anyone that like me likes to show off ankle socks! Just as we were leaving the house my "pink" H&M delivery finally arrived. All these items were just £2 each. I have a outfit planned ready for the jumper! 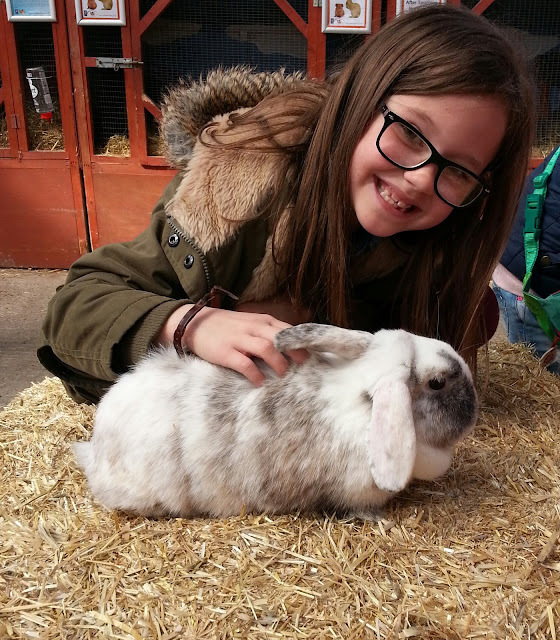 Not one to be left out, my eldest daughter wanted a mention. The little madame is growing way to fast for my liking, not content with stealing my earrings she's got her mits on my River Island scarf! 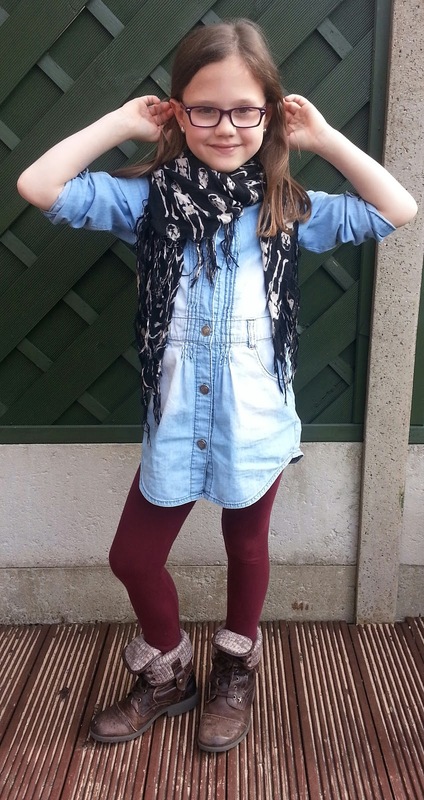 She has rapidly developed her own sense of style with Next, River Island and Zara being her favourite! She was however very taken with Tesco's collection. As was I! My Beautiful Blonde however is far to interested in a wilder taste in clothes and her career as SpiderGirl! Back to school tomorrow, I can hear a symphony of Mum's breathe a sigh of relief! 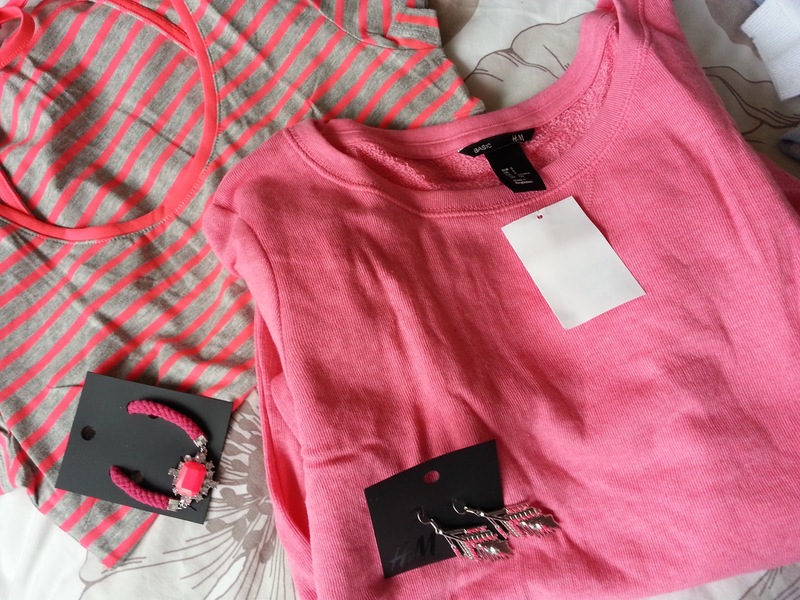 Love the topshop tee. And can't wait to see how you wear the pink sweatshirt. It's darned comfortable isn't it? And your oldest - great style - I wonder who she get's it from? Loving the jeans. My £2 H&M jumper arrived and I love it!